Dotting the BLM open range one can see ridges piled high with large boulders. 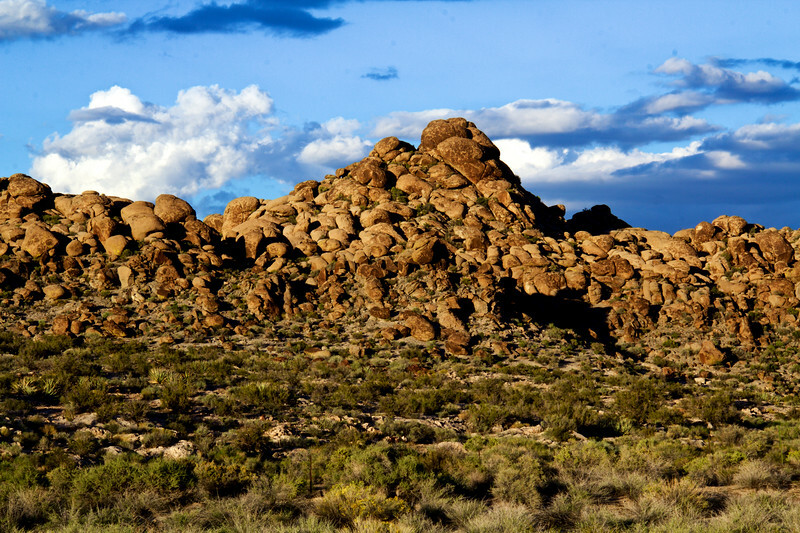 These boulder fields are composed of mail volcanic deposits of welded tufts that have weathered into unusual rock formations. This was taken near Big Rocks Wilderness in Southern Nevada.